11th August, 2016: Titan, India’s leading and the world’s fifth largest watchmaker, announced the launch of the JUXT Pro, its second smart offering, today. With JUXT Pro, Titan will, for the first time, offer a full suite of smart features in a beautifully designed timepiece. As a full touchscreen smartwatch, the JUXT Pro has a circular display and pairs with a customized app, downloadable on phones with Android 4.4 and above. With a precision-crafted three-piece case, the smartwatch is made of 316L surgical grade stainless steel and comes with a classic leather strap. Earlier this year, Titan launched its first smartwatch – JUXT – and created a new space in the intensely competitive smartwatch market in India. Designed for men, Titan’s JUXT Pro will be available in two variants – Matte Black and Steel Black, which are both priced at Rs.22,995. The smartwatch will be available for sale across select World of Titan, Helios and multi-brand outlets from Friday, 12th August 2016. 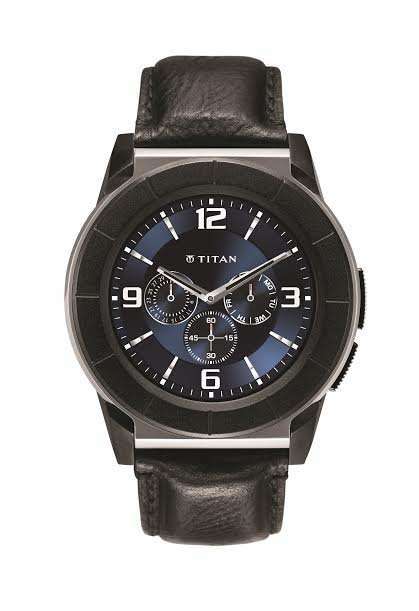 It will also be available for sale online on www.titan.co.in and Flipkart.